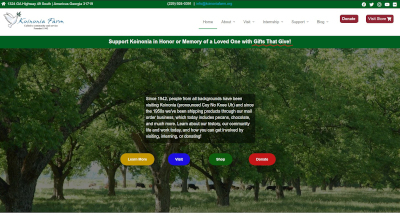 We partner with these organizations to bring you products with a story. 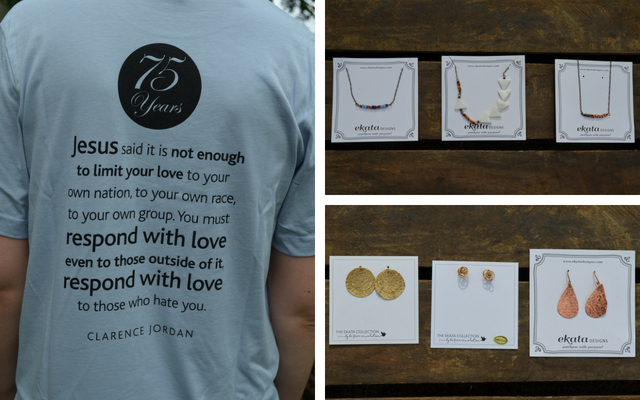 Whether it's handmade jewelry, clay-dyed t-shirts, or other handmade items, you can trust Koinonia Farm to partner with companies that align with our mission of love through service to others, joy through generous hospitality, and peace through reconciliation. With your help, we support peace and justice in our own backyard as well as around the world.